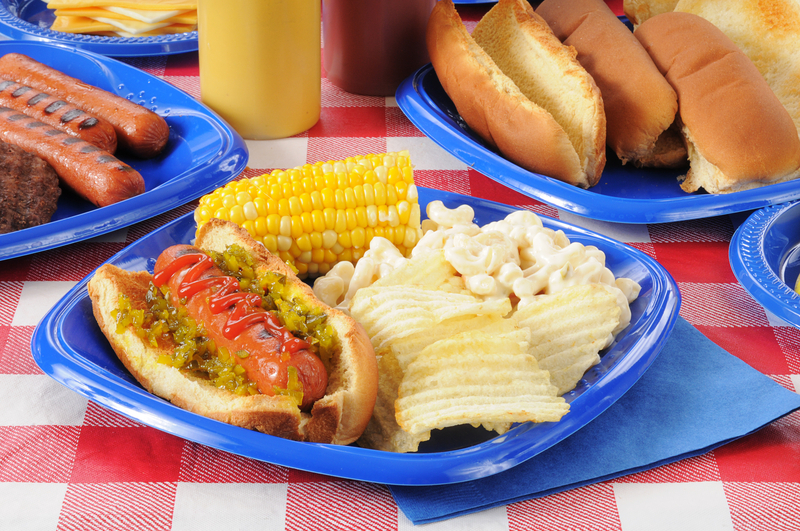 Memorial Day weekend marks the unofficial start of summer, and across the country, families and friends will gather to cook out, enjoy the warmer weather and visit with each other. Grilling is one of America’s favorite pastimes. Not only does it make for easy meal prep, but it also keeps the home cooler during the warm summer months. But the grill can also be dangerous, so keep these cookout safety tips in mind this summer. Before you begin grilling for the summer, check the propane tank to make sure it is properly connected. If using a charcoal grill, make sure that the lighter fluid and matches are stored in a safe place after the coals are lit. Move the grill away from the side of your home and deck railing. The heat from the grill can melt vinyl siding and could also cause a fire. Additionally, never use a charcoal or propane grill indoors or in enclosed garages or patios. Place your grill on a flat surface so it is stable and can’t be tipped over. Keep children and pets away from the grill. It is natural for everyone to congregate around the chef while he is cooking the burgers and hot dogs, but make sure that everyone keeps a safe distance away from the grill so they don’t get burnt. Don’t wear loose clothing around a grill. Observe “burn warnings” in your area. Townships will post notices when it is too dry or windy to burn. Build your fire pit in an open area – away from dry grass, leaves and overhanging trees. You don’t want windborne embers catching things on fire. It is better to keep your fire small so it stays controlled – just a few logs at a time. Keep a bucket of water and a shovel close to the fire, just in case. These will also be handy when you are ready to extinguish the fire for the evening. Never leave fire pits unattended. When you are ready to call it a night, take extra care to make sure the fire is completely out before heading indoors. Read more of our blog articles for home tips and inspiration. Posted in Home Tips and tagged cookout, Day, grilling, home, Memorial, safety, summer, tips on May 22, 2014 by metzler.